1. People working at a desk usually spend close to 160 hours per month seated. This leads to various health and posture issues. 2. Sitting continuously for long periods of time strains the spine and the muscles around the spine, including your back and neck. 3. Changing positions every 30-60 minutes can be extremely helpful. 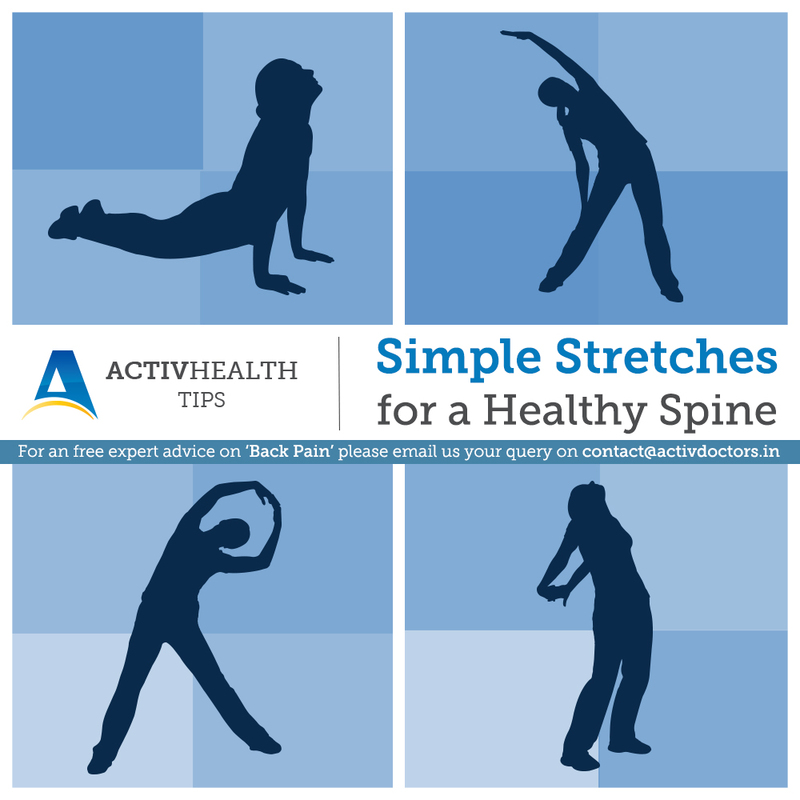 Short walks around the office and a few desk stretches would work wonders to prevent low back pain in the long run. 4. Proper positioning with respect to the desk, keyboard, mouse and computer is required to eliminate stress developing in the joints. 5. Sitting straight can not only help in preventing injuries, but can also boost your metabolism and improve your productivity. Spine problems – especially Neck and Back Pain – are the most common physical complaints among working people. Research has proven that sitting all day is one of the worst things one can do to their body, which people with desk jobs in a typical 9 to 5 schedule may find difficult to avoid. Back pain ranges from a dull ache to a stabbing sensation. If left untreated, back pain can make it hard to move or even stand straight. The following 5 Office Stretches will help you fight the mid-day slouch and improve your posture as well. • The shoulders and neck acquire a lot of muscle tension from the constant typing, clicking, etc. • Place the left foot on the right knee and lean forward for about 30 seconds. Switch sides. • This is a great stretch for both your back and the hip flexors. What You Need to Know about Osteoporosis?